Database Systems Corp. (DSC) has been providing computer related technology since 1978 including automated phone systems and custom phone application software. Our phone technology is ideally suited for businesses and organizations that provide counseling services to its employees or to subscribers over the telephone. DSC provides an easy and affordable method of matching coaches and counselors with callers who need advice on specific matters. Phone counseling could include personal life advice and assistance including faith based services. Our services could likewise be used for professional and technical help such as provided by a help desk. "A coach is a person who supports people (clients) to achieve their goals, with goal setting, encouragement and questions. A coach helps clients to find their own solutions, by asking questions that give them insight into their situations. Phone coaching simply uses telecommunications as the medium for this support process." How Does Our Phone Advisor Work? First, our phone system automatically answers calls from your employees or subscribers and allows them to identify themselves and the type of assistance they require. 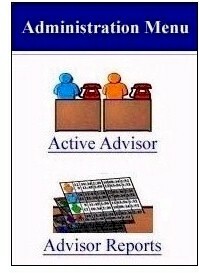 They can ask for a specific adviser or we can automatically assign one. We next check a database of counselors and advisers that are qualified to assist the caller with their specific problem. The order in which these counselors are selected can be customized, based upon experience, qualifications and other specific criteria. Next we call this adviser and if available to take the call, our phone system connects the caller with the adviser. If no one is available to handle the call, a message can be left on a voicemail. We provide a custom website that allows you to maintain your own database of advisers. These can be both employees or outside contractors. Caller information can also be stored and profiled for contact and billing purposes. Complete tracking reports are available through our system, identifying the caller, the adviser, the amount of time spent on the phone, and specific billing (if necessary) that may apply to each transaction. Contact DSC to learn more about our complete phone adviser applications and as well as our state-of-the-art phone systems. Visit our Phone Applications web page to view our other phone services. Ankida has contracted with DSC to provide phone services and our phone coaching application. Subscribers call Ankida's 800 number which is answered by our phone system. Callers are connected to Ankida specialists who meet the criteria requested by the callers. Complete database, phone and accounting services are provided by DSC. Contact DSC to learn more about our phone coaching and adviser services.